Crocs is still betting on its classic clog, a model that revolutionized the market and today it continues to be the favorite footwear of many. Most striking colors, technology that continues to seek maximum comfort as a brand priority and models that are at the forefront of the latest trends to offer you a wide range where surely your perfect grip is. Find fun with Crocs. The collection wedges for spring / summer 2016 advances towards a more versatile, casual style and moves away from a more sporty line. The wedges are one and a half point with the rest of the collection, reaching all women. They provide the comfort that is sought with more style and with the right elevation for this extra comfort that is needed. New printouts along with a more feminine style that will make the shoes of Crocs your shoes essential summer. Flip flops are the essential element of spring and summer, to go to the beach, the pool, to go out with friends or have an ice cream on the hot nights. In this new collection, there is a wide variety focused on women, men and children. Let yourself be seduced by the diversity of opportunities offered by Crocs flips, surely you find the one that best suits your plans. Star Wars, Frozen, Looking for Dory, Cars, Mickey Mouse and Minnie Mouse and SpongeBob. 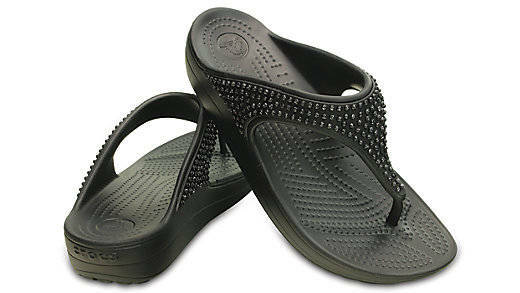 These are all licenses that you can find this spring-summer with your favorite Crocs. In different models and colors, for boys and girls, so that you have fun together with your favorite characters. Do not miss the opportunity to bring your favorite movie with you.